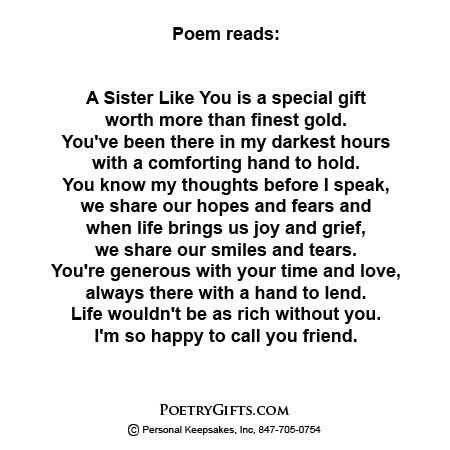 Home > Sister > Sister Gift - "I'm So Happy to Call You Friend"
A sister is a lifelong friend and confidant. 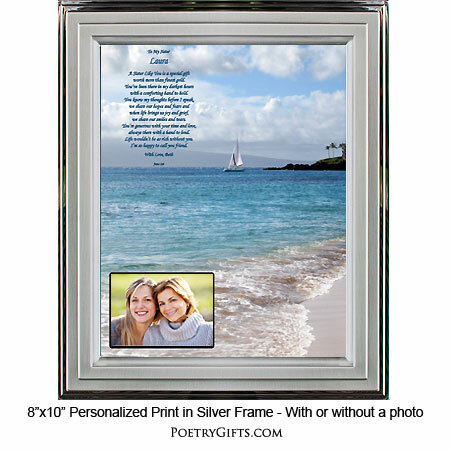 Express what's in your heart with this original Poetry Gift that let's her know how much you love and value her. 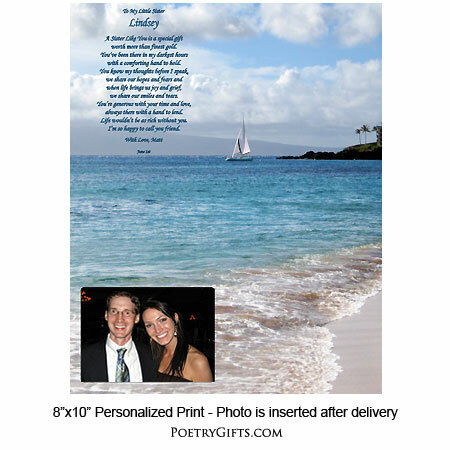 This peaceful ocean print is the perfect setting for this personalized poem. Add a favorite photo of you and her and you'll have a gift any sister would love to receive as a birthday gift. Makes a great "Just Because" present also! You couldn't imagine life without her. Let your sister know how much you appreciate her with this EXCLUSIVE Sister Keepsake that will surely touch her heart. This personalized print with names, special occasion date, and closing message from you can be framed in any standard 8" x 10" photo frame. 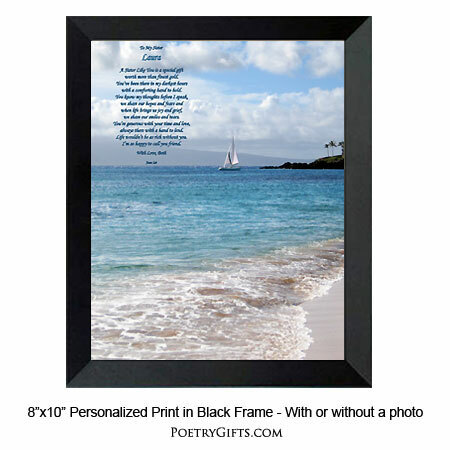 (19.95 is the unframed price) If you are looking for a graduation gift, birthday or wedding gift for your "Little Sis" or "Big Sis", consider this original poem and artwork. Guaranteed to get you a great big hug! If you prefer to write your own poem or verse, we will be happy to design it for you. See the Design A Poem tab for more details. 3. Closing Phrase and Your Name (as seen after poem) - (Examples: Love Always, Katie; With Love, Jason; etc.)"